Welcome to Midland Gardens Bronxville! Midland Gardens is one of the most coveted co-op complexes in Bronxville. Tucked away on Midland Avenue near the Bronxville Library, this community is home to over 250 Bronxville residents. In addition to its short walk to the Metro North, it is also close to Bronxville Middle and High School and heart of the village. Barhite and Holzinger is the property manager of Midland Gardens. We help manage the complex and its on-site secretary, Kim. She handles the daily questions or activities. It is beautifully landscaped and maintained, with a variety of flowers and plants. Because of the large open spaces, a public vegetable garden open to all residents and a play area; it has an overwhelming sense of community that families seem to love. The leading real estate office, Barhite and Holzinger, currently has a a one of a kind at Midland Gardens Bronxville unit 1C. 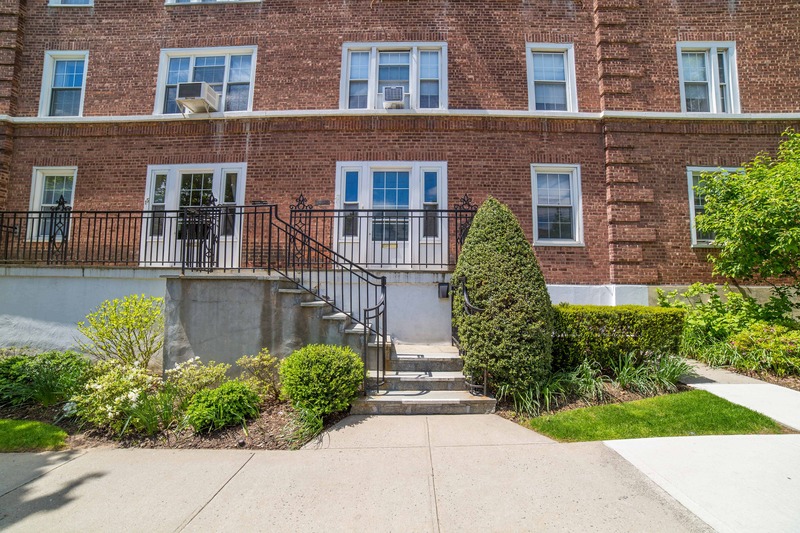 This spacious two bedroom also has two entrances, including a private entrance off Kraft Avenue that makes for a convenient short walk to the Metro North and Bronxville School District. 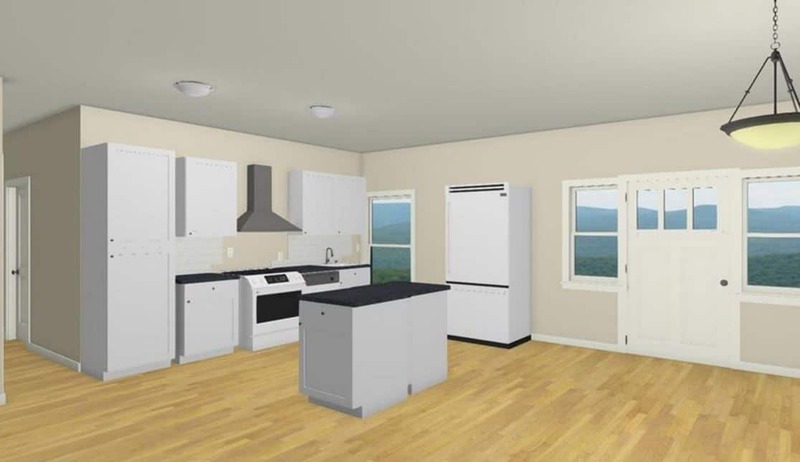 However, it is not yet completed which means who ever moves in will be living in a brand new, renovated apartment. Frank Morris, the listing agent, says the project completion is estimated for late September into October. Four closets will be carved out that are not on the sketches attached, two in master bedroom, 1 in second bedroom, and one at the Kraft Avenue Entrance. CO to be issued by village for legal two bedroom. The apartment is not your typical unit. 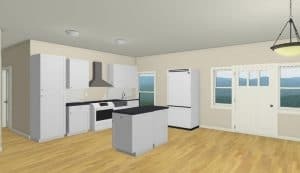 Rather, it is planned for an open concept layout with granite countertops, stainless steel appliances, custom cabinetry. Along with an updated bathroom, hardwood floors and excess storage throughout. Additional storage unit comes with the apartment. The terrace space for quite enjoyment. Therefore homeowners can enjoy their own private outdoor space. LOW Maintenance for a 2 Bed Bronxville apartment. Lastly, for any questions about Midland Gardens Bronxville properties, please call 914-337-1312. Clients can also reach the Barhite and Holzinger salesteam at sales@barhiteandholzinger.com. Because of out extensive experience in the area we are sure we can help.